Thank you for following this Sunday blog and writing to me over the last two years. I began this space with the launch of The Messenger, the story of how a spirit guide saved my life after the death of my son. I am now working on the sequel, The Messenger II. For those of you who read the first book, you must know that the story didn’t end there. And so, I have decided to take a hiatus from a weekly blog and concentrate on finishing the second book. I will write something in this space from time to time, just to keep in touch. Thank you again for all your wonderful notes and encouragement. As we walking the earth plane will, from time to time, take a hiatus from our work, so is it with our spirit friends, guides, and loved ones. They are not gone – just taking a hiatus. 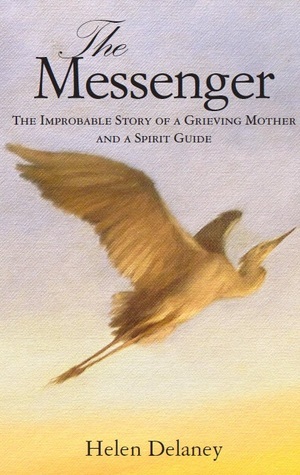 The Messenger can be found on http://www.amazon.com. For a signed copy, go to http://www.themessenger.space. Will miss the weekly blog, but look forward to the second book. It’s a long road , as you know, my friend. Thanks for supporting the blog.